The WEAG group has been meeting regularly since then and is expected to be asking for comment and feedback from the public over the next few months before it is due to report back to the Minister of Social Development in February 2019. Meanwhile, the current government has completed the work started by the previous government to re-write the Social Security Act 1964 into a modernised streamlined version designed to untangle the hundreds of amendments made since it was passed over 50 years ago. This new Social Security Act 2018 is expected to be made law by Parliament in September and come into effect on 26th November 2018. Because of the way this law has been framed, it is most likely only a precursor to further law changes that may be part of the recommendations for the WEAG group. NZCCSS and many others will be calling for more fundamental change to meet needs of our country for the coming decades. 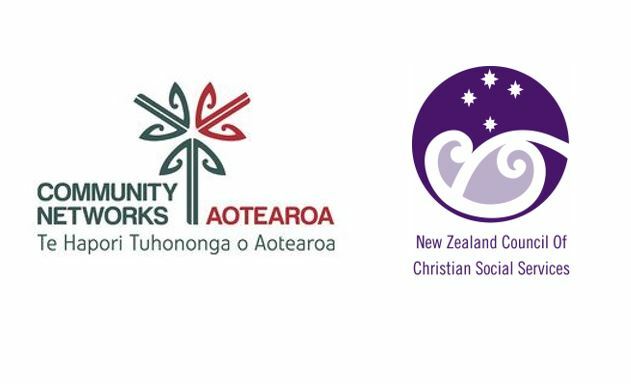 NZCCSS has set out the outlines for a vision for a social security system fit for the next 80 years in a media release on 18th September 2018 marking 80 years since the passing of the first comprehensive social security law in this country in 1938. The political leaders of the 1930s who were the initiators of the new welfare laws, such as then Prime Minister Michael Joseph Savage, drew on values of concern for others, that we are all our “neighbour’s keeper” coming out of their own Christian faith. Those values are shared across all the great religions and indeed underpin our wider values of human rights and social justice. 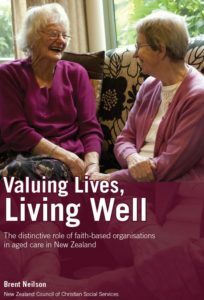 That vision draws on the shared values for welfare justice that were set out in 2010 by churches’ sponsored Alternative Welfare Working Group that was a response to the then National-led government’s very narrowly focused Welfare Working Group review of social welfare. Welfare Justice For All, the final report of the Alternative Welfare Working Group, sets out the values and vision that should underlie the approach to welfare in this country. It is these principles that need to inform the debate about social security in the 21st Century. These principles draw on the comprehensive work done in the Royal Commission of Inquiry into Social Security 1988 and the 1972 Royal Commission on Social Security. 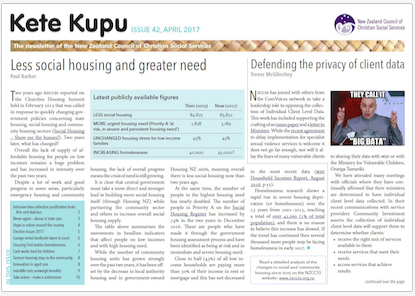 NZCCSS welcomed the 2010 report as taking a “21st century approach to social security, one that incorporates a broad approach and recognises the links between employment, education, health, housing and social policies based on enhancing inclusion and reducing inequalities”, providing a vision for a successful New Zealand.